I like to think that I have taught my two children what they need to know about finances and money. They both are able to handle their own money responsibly (most of the time) and I trust that they will be able to go out in the world some day and put everything they've learned into practice. A few weeks ago, however, it once again hit me that not every child gets such an education. One of my daughter's friends came over for an afternoon. I overheard the girls talking about some new toy advertised on TV. My daughter was talking about how she might save up to buy it. The friend told her to just get me to put it on my credit card. She had totally lost the connection (or perhaps never had it) between money and credit. Even if your children are well-schooled in money management, likely many of their friends are not. 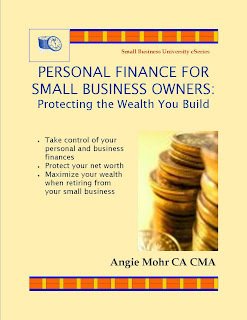 What better gift can you give them than financial knowledge? 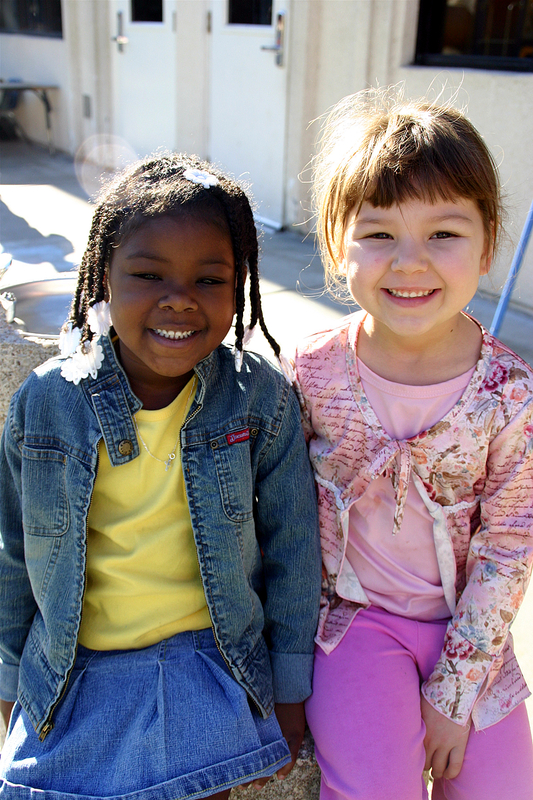 Take the time to mentor your child's friends. It doesn't have to be formal- and probably shouldn't be but make sure that they overhear you talking about budgets or spending. Have your child talk to the friend about his or her savings and how they grow regularly. 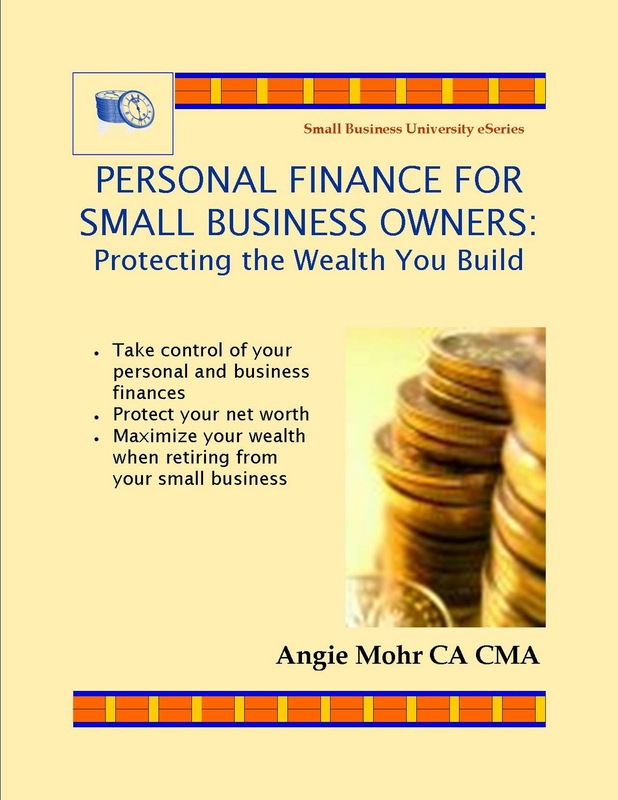 Ask them about their own knowledge of how to budget and save. Kids are sponges and will pick up these informal lessons and absorb them. With little effort, you have the ability to teach not only your own children but others how to be money smart. When I was a kid, I was fascinated by banks. They had an ethereal quality that suggested that Very Important Things were being done there. They smelled like paper and leather and oak, much like my grandfather's home office. Banks were hushed and quite like libraries, but always held surprises like the teller who would present me with her bowl of hard candy for my selection or the bank manager who would give me a bank calendar. I was probably 10 or so when I opened my first account at the institution my grandparents banked with. I was presented with a sleek deep red passbook protected in its little plastic sleeve. I loved going to the bank with my grandfather and having the teller update my passbook with the monthly interest. It was only a few cents in the beginning but it was my introduction to the magic of investing. To that point, I had never understood the concept of passive income. It seemed surreal that the bank would give me money every month without me having to do anything for it. In today's banking system passbooks are few and far between and most banking is done electronically-- with no candy bowl. And, yet, it is still an important skill for kids to learn once they are starting to outgrow their piggy bank stage. Many banks still offer tours for children where they can see what happens in a banking transaction and check out the vault (usually, the coolest part of the tour for younger children- although they can get disappointed that it isn't filled with bars of gold). Take your children with you when you go to the bank and explain to them what you are doing (withdrawing, depositing, paying bills, etc.) Allow them to have their own account when they have mastered the piggy bank. Explain that the bank is taking care of their money and lending it out to others while it's there. That's what creates the interest income. 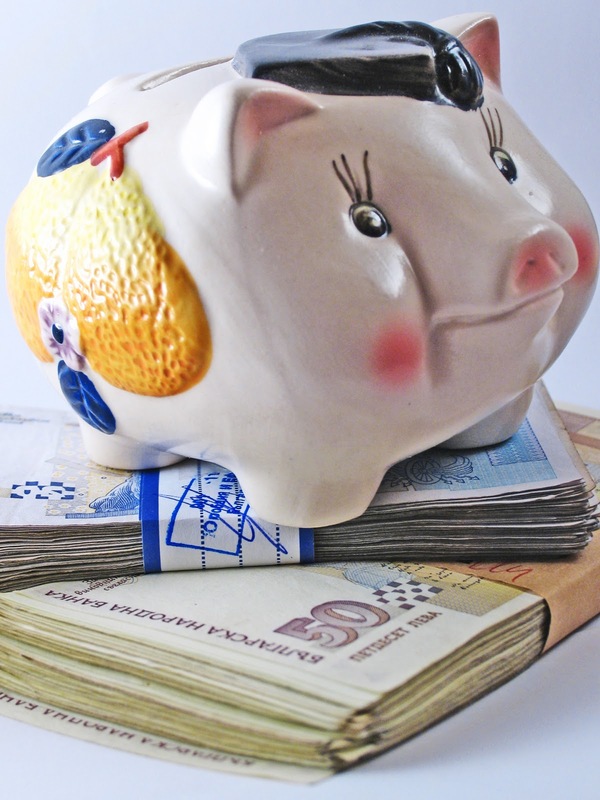 The bank makes money from the deposit and gives some of it to the depositor. Letting your child open an account and begin to build up a savings account balance is the first step in teaching them to save and invest money in the long term. In the month of April, I will be bringing blog posts to you that start with each letter of the alphabet. 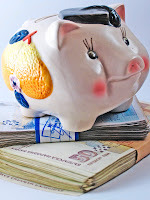 Today's post about raising money-smart kids is about how to make kids understand money in an age-appropriate way. Teaching kids how money works is not a one-time lesson. It is something that happens over their entire childhood in many different ways. It doesn't have to be sitting kids down at a table and reading from a textbook to them. 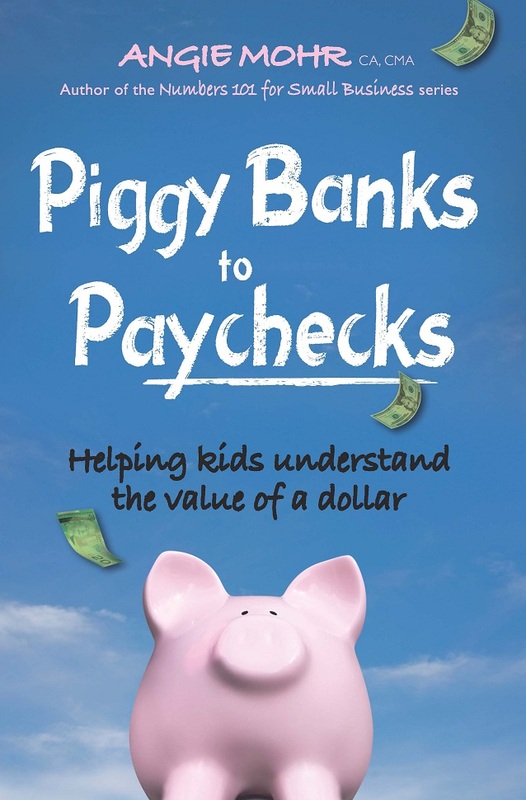 Kids pick up clues about handling money every time they accompany you to the bank, every time they see something on television that relates to money, and every time their friends talk about it on the playground. Some of what they pick up on their own is useful but the vast majority of it will not be unless you can frame it in a way they can understand for their age. Young children cannot understand the complexities of the financial markets in the same way that older children can. Children under ten often learn about money best by seeing it and touching it. Physical coins and bills are important to understanding the value of money. A bank account balance and a little passbook don't get the same message across. As children get older, they can understand financial transactions in a wider perspective. When they see you deposit money in your bank account, they can understand where it goes. 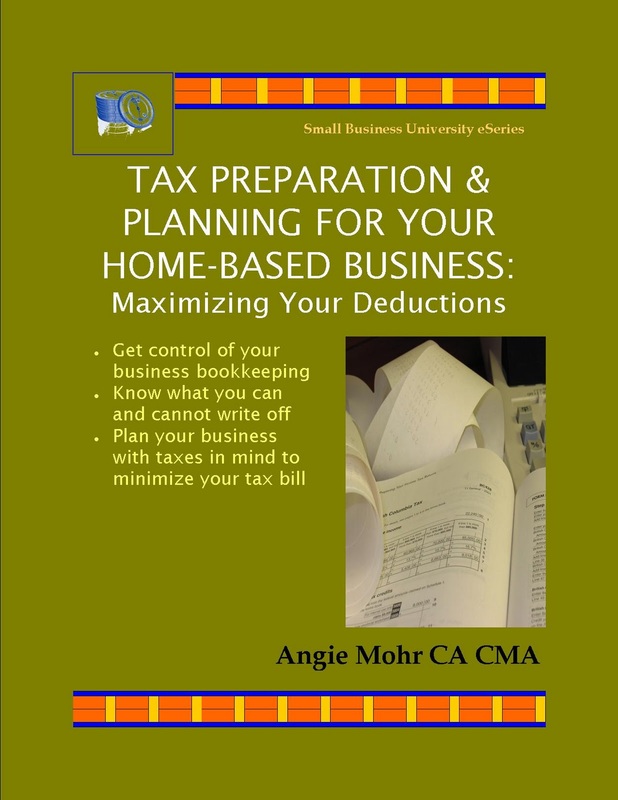 They can learn how to budget for every day expenditures and large purchases and how to save for a rainy day. Keep the age of your children in mind while you are helping them learn fiscal responsibility. They don't have to know it all at once. Just give them regular opportunities to see it in action and be able to explain it in a way they can relate to. 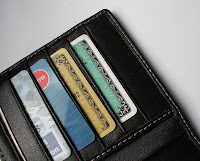 Credit Card Fraud: Are You Protected? 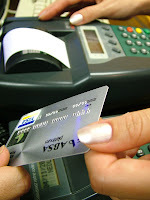 Credit card fraud has been around as long as there have been credit cards. However, it is becoming a growth industry as the economy declines and credit card limits keep rising. As a professional accountant, I often receive panicked calls from clients who are concerned that their credit cards are not safe. I explain to them that, with some common sense steps, they can make their cards less likely to be stolen. 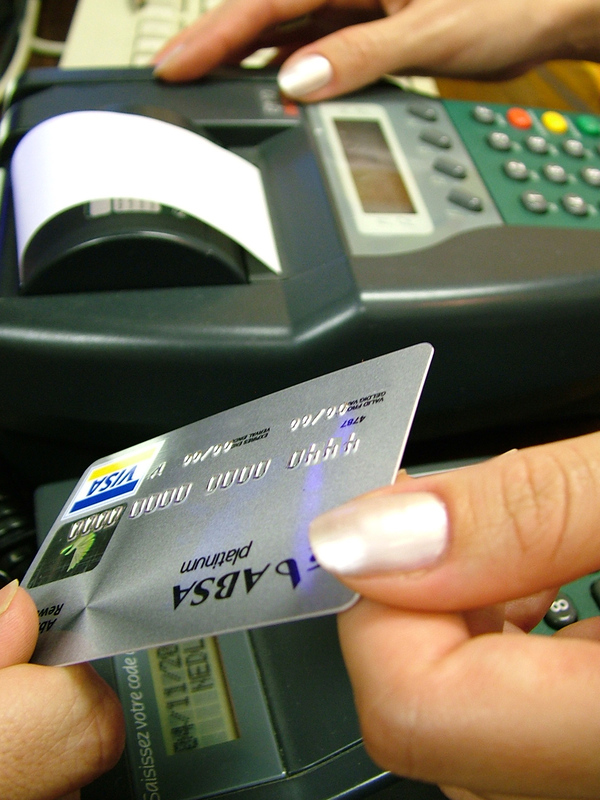 Protecting yourself from credit card fraud should be a cornerstone of your financial stability. While there is no way to guarantee that you won't be a victim of this type of theft, you can make yourself less of a target. Like any other theft, perpetrators look for the easiest heist. If you make your credit card information more secure, thieves are likely to seek out easier prey. Here are four easy ways to make yourself less vulnerable to these plastic thieves. November 29 and 30 only! -use PayPal button below and you can use your credit card or PayPal balance securely to purchase. The internet has allowed consumers to make purchases, share information, and even get professional advice- all online. Unfortunately, the internet also makes it easier for the old-fashioned thief and pickpocket to steal your financial information and leave you penniless and your credit in shreds. Here are the top 5 online identity theft scams. Each year, more people are using the Internet for banking, shopping and even invoicing. However, the Internet is also providing new opportunities for thieves, who find that stealing identities and financial information can be as easy as sending an email. As a professional accountant, I often see the damage wrought in identity theft scams. Many people dream about winning the lottery, and that is exactly what this type of scammer counts on. This scam involves sending an email or creating a flash banner that announces that you have won a lot of money in a contest or lottery. Once you respond to the email or click on the banner, you will be given some type of explanation that you have to remit the taxes on the winnings or pay some kind of fee first. These scammers often go back to the well as often as they can, requesting that more fees or taxes be sent. Once you put the brakes on sending any more money, the scammers can drain your credit card or bank account, as they already have your information.